I was writing a review of 2011 for my website and realized that there some stories that received much more attention than others. We all remember the Casey Anthony and Amanda Knox trials. Both received a lot of media attention. and though both ended up with the women beating their murder charges, they will go on to live quite different lives. I have a feeling we aren’t done with either of them. Michael Jackson’s personal physician, Conrad Murray, was convicted of involuntary manslaughter for not doing more to prevent Jackson’s death, following an overdose. This is a story which I’m sure we’ll hear more of, as well. But what about the other news stories of the year? Japan’s 9.1 earthquake that created a tsunami that took out the coastal nuclear plant was in the news for a few weeks. But now the story of the debris that is turning up on Canada’s shorelines has found a place on the bottom of Page 5.What is happening in Japan today? Does anyone care? It seems as though stories such as this one gets forgotten as soon as a more important story comes along. opposite Jack Webb (Joe Friday) on Dragnet, and then went on to star as Colonel Potter in the TV show MASH, died Dec. 7. He was 96. 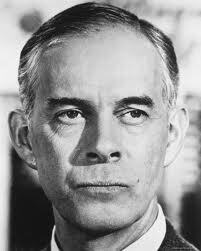 I remember him most when he played an angel opposite Fred MacMurray in Charley and the Angel. Charley (Fred MacMurray) is a workaholic, who finds out from an angel that his “number’s up” and he will be dying soon. In the time he has left, he tries to change his ways and be a better husband and father. I hate to ruin the ending, but it’s the part I love best. Harry (the angel) catches a bullet meant for MacMurray and a happy ending is had by all. Other people I didn’t know had died in 2011 include former child actor Jackie Cooper, Peter Falk, Bubba Smith, and ‘Jane Russell. But maybe I missed the news on that day, but I doubt it. I just don’t think that their star power was enough to overshadow the more important stories of the day, which is kind of sad. News is news, and unfortunately, whatever is more sensational usually gets top billing. But I think all news is newsworthy, even the littlest tidbits. As I have said before, I see everything as a potential story. And 2012 should be quite a year for news. I’m looking forward to a brand new, whatever news it may bring with it.